We are one of the prominent organizations engaged in offering a wide range of Steel Wire Braided Hydraulic Hoses. These hoses are manufactured using optimum quality raw material, which is procured from the reliable vendors of the market. Moreover, our hoses are tested on various parameters so as to ensure their compliance with set industry standards. Diluted or concentrated acids, caustics, hot, lacquers, solvents, fuel, oils, oxidizing agents, gases, foods, drugs, generally unaffected by all chemical (expect melted alkaline metals) used in Laundry, Rubber, Plastic, Chemical & Refrigeration Industries.Maximum Utilization of steam pressure 250 PSI Also available in S.S. 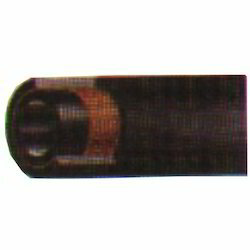 Braided with corrugated Teflon Hose for 1.1/2”, 2”, 3”. 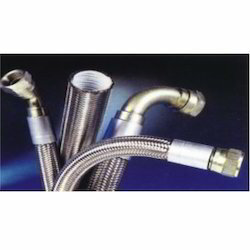 We have in our store a versatile collection of L P Metal Braided Hoses. Manufactured using optimum quality raw material, these hoses are suitable for low and medium pressure applications for hydraulic oil, fuel lubricating oil, water and air. Moreover, our products are tested on various parameters in order to offer a quality assured range to out customers. We have gained expertise in delivering a quality range of Steam Hoses – 71. These hoses are manufactured using optimum quality raw material, which is procured from the reliable vendors of the market. 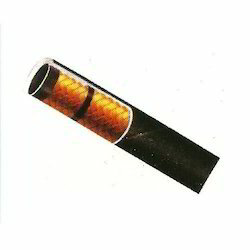 Moreover, our hoses are widely used for hi-temperature fluids and steam. 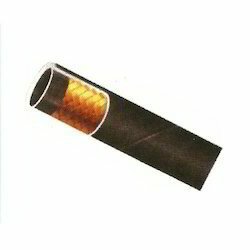 Owing to their strong construction and excellent performance, these hoses are widely demanded by the customers. Temperature range: Up to 200° C.
With the help of our experienced engineers, we are able to design and develop a wide assortment of Heavy Duty Flexible Nylon Re In-forced Hose. These hoses are manufactured optimum quality nylon, which is obtained from the reliable vendors of the market. Owing to their features like flexibility, durability and reliability, these hoses are widely demanded by the customers. 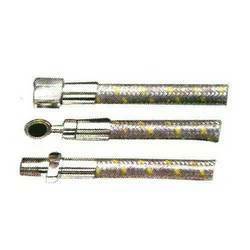 Moreover, these hoses are demanded for heavy duty applications. We offer these hoses in many sizes to meet the variegated demands of our customers. We have established ourselves as a renowned manufacturer and supplier of Rubber Sand Blast Hoses. The hoses offered by us are manufactured in accordance with the international standards and norms using premium quality raw material and sophisticated technology. Moreover, these hoses are available in various sizes, which help in meeting the diverse requirements of our customers in an efficient manner. We also test these hoses on various parameters so as to ensure their longer and quality. Our domain expertise has enabled us manufacture and supply an excellent collection of Rubber Hoses & Carbon Free Hoses. The hoses offered by us are manufactured under the guidance of our expert professionals, who hold vast experience in this domain. 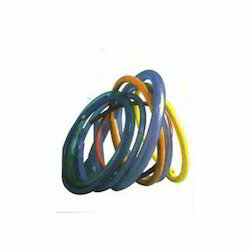 They make use of optimum quality rubber and advanced machines in the manufacturing process. Moreover, in order to ensure their quality and durability, these hoses are tested on various predetermined parameters before the final delivery. 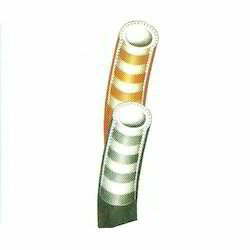 Special Resistance to Pressure By Delivery & to Absolute Vacuum by Suction. - Resistant to atmospherical agent, Oil & most Chemicals. - Very Narrow Bending Radius. STRUCTURE : SOFT PVC HOSE WITH EMBEDDED STEEL WIRE REINFORCE. Looking for Steel Hoses ?